The electoral victory in Algeria of Bouteflika for his fourth term as president of Africa’s largest country is a non-event of major proportions. The enfeebled 77-year-old politician barely appeared in public during his campaign and is reported to be much reduced by a stroke he suffered last year. His victory should be seen as a win for a powerful Algerian bureaucracy. The state is still firmly under the sway of the generation that came to power following the 1950s war of independence and offers little participation to the 80 per cent of Algerians under the age of 45. The authoritarian practices of the FLN (National Liberation Front) ensure that any meaningful opposition remains marginalized. 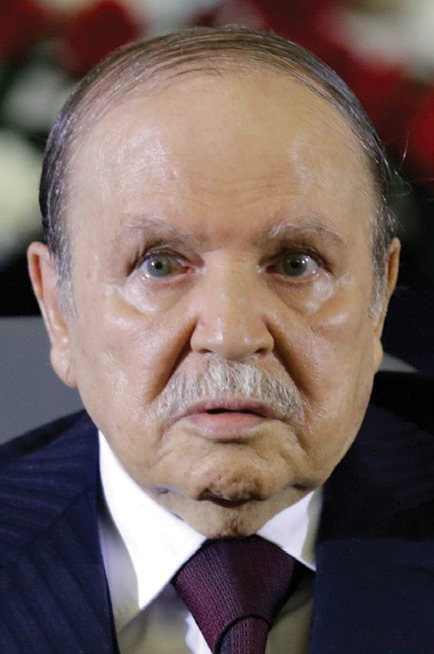 Bouteflika’s candidacy (unkindly referred to by some as the return of the ‘walking dead’) has provoked a grassroots boycott movement called barakat (enough! ), which has faced an official clampdown on demonstrations and other activities. It is true that many Algerians have a distinct distaste for politics of any shade after a brutal civil war in the early 1990s – which left 200,000 dead – between the military and police and a ruthless Islamic fundamentalist movement. The Arab Spring had only faint echoes here. The Department of Intelligence and Security (the security police, known simply as ‘The Power’) tolerates little in the way of dissent. Still, Algeria’s loudly trumpeted democratic credentials will continue to run up against its record of censorship and political repression and make Bouteflika’s last days in Algiers anything but a rest in peace.